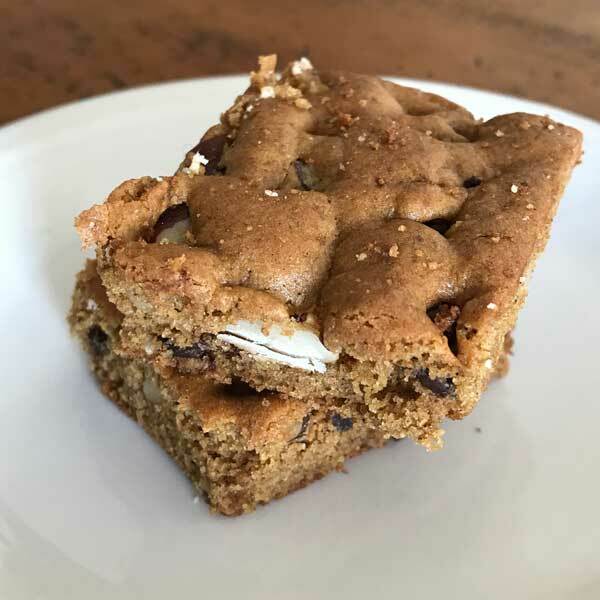 I wasn’t prepared to like this recipe as much as I did, but these Paleo Chocolate Chip Bars won me over. Along with being gluten-free and dairy free (if you use non-dairy butter), they have a decent amount of protein per serving. I use a brand called Garden of Life Raw mainly because I can buy it in small packets for a couple of dollars. These are most definitely not low in fat because of all the nut flour and nut butter, but they are satisfying and should keep you full for a while. Paleo Chocolate Chip Bars are easy, filling and very tasty! I like using Brazil nuts for selenium, but any nut works. For the nut butter, I use Trader Joe's. Preheat oven to 350 degrees F. Line an 8 inch square pan with nonstick foil. Mix together almond flour, protein powder, baking soda and salt. Set aside. In a second bowl, whisk together the melted butter and coconut sugar until blended, then whisk in the egg, almond butter and vanilla. Fold the almond flour mixture into the butter mixture and stir until blended, then stir in the chocolate chips and nuts. Press the mixture firmly into the pan and bake for about 18-20 minutes or until top appears dry. Let cool completely, then lift from pan and cut into squares. I have been challenged by someone to make a chocolate chip cookie with protein powder. This looks like a great starting place. Thank you! !